Everyone is familiar with the cycle: We decide to break a bad habit once and for all. We may even experience some short-term success. Yet almost inevitably, we fall back into that undesirable behavior and the frustrating process starts all over again. The experience can leave us feeling powerless to make changes in our lives. Dr. Erwin Lutzer believes it is possible to break the cycle of addictive behavior. 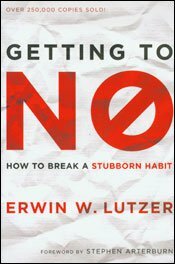 Filled with biblical insight, Getting to No: How to Break a Stubborn Habit takes an honest look at the temptations lying beneath the surface of every bad habit. 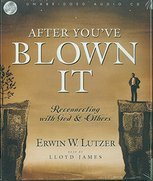 Lutzer examines tough issues - such as why temptation exists, what purpose it serves in our lives, and what happens when we fail again - and provides practical tools that will help you find freedom from bad habits for good.